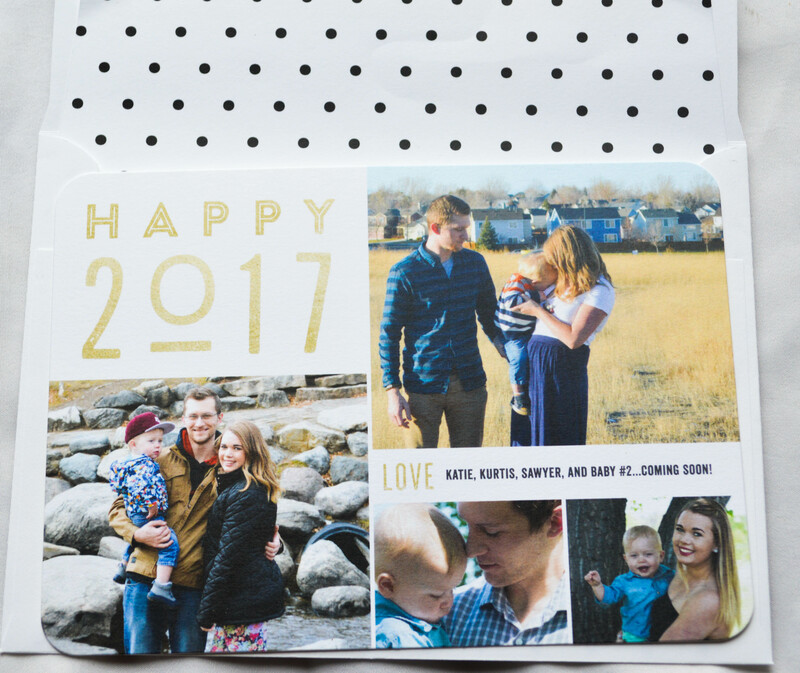 For the Hot Mess Mom- New Year’s Cards! Disclaimer: I received product from Tiny Prints in exchange for this post. All opinions are my own. Visit my disclaimer page for more information. I’m a hot mess. But you guys know that already. With the pregnancy zapping all my energy, time totally got away from me on Christmas cards this year. And I really wanted to finally do them! Our family had a grown a lot this year, and we had some exciting news to announce! However, Christmas came and went and I never got around to doing cards. It’s kind of a hassle, isn’t it? You have to hire a photographer, schedule a family photoshoot, pay the photographer, design your cards, order the prints, pay for them, buy stamps, address them all, then send them out. Phew. We had already had pictures done multiple times this year (#bloggerlife), and Kurtis’ schedule is so crazy during the holidays (#retaillife), that new pictures were a no-go. I knew we weren’t gonna get them out before New Years, so I opted for New Year’s cards instead of Christmas cards. This really took the pressure off time wise, because I knew I had until a few weeks into January to send them out. We already had so many beautiful family pictures from this year, that I just made a collage of some of my favorites. This saved us the time and expense of having new pictures taken. I also put a picture of our first sonogram of baby #2 on the back as a way to announce our pregnancy to close friends and family before we announced on social media. We used Tiny Prints to design the cards. Tiny Prints makes it so easy and we had so many options. 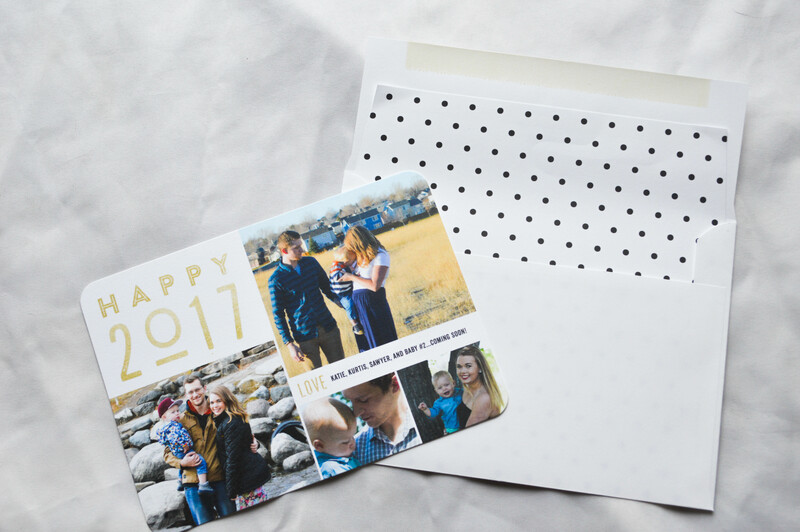 The type of card, the type of finish, the paper it was printed on, the type of envelopes, return address option, address option, stickers, inserts, and more! You can easily make your cards whatever you want them to be! Tiny Prints even offers an FREE option to have one of their editors proof your cards to look for an spelling errors, pixilated images, or color issues. They’ll make sure your cards are perfect before they ship them out to you. And production and shipping is fast! Tiny Prints makes the best prints for any occasion. 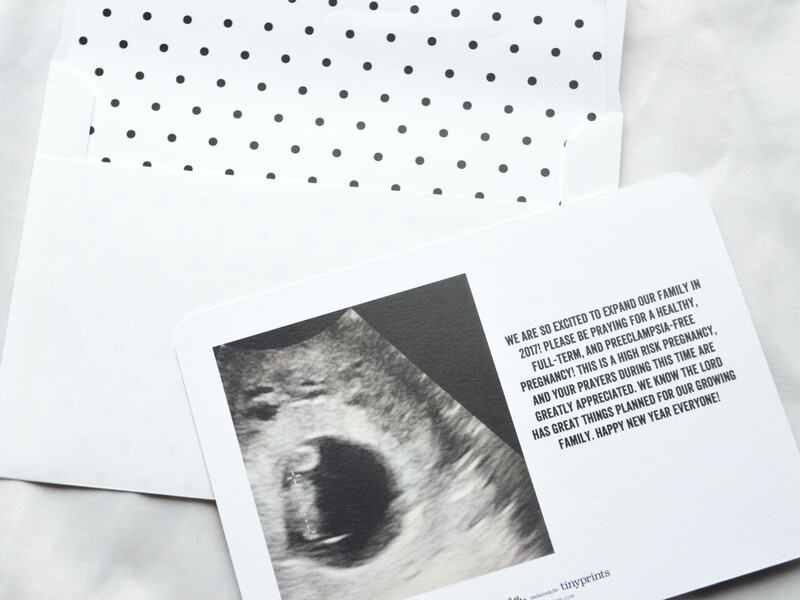 Save the Dates, Birth Announcements, Even Invites, Holiday Cards, and more! You’ll definitely want to check them out! So, my fellow Hot Mess Moms, if you slacked on the Christmas Cards this year. Don’t sweat it, next year, try for New Years cards! I’ve even heard of some people sending out Valentine’s Day cards, just an idea. 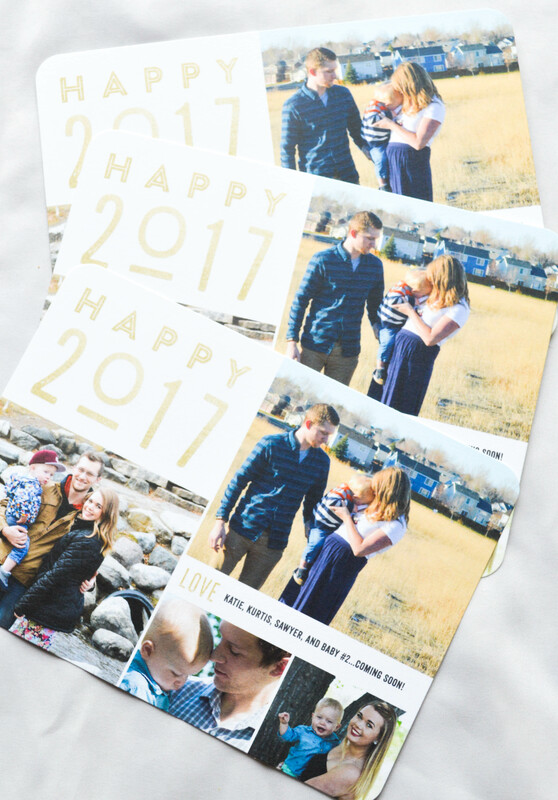 Leave a Comment on For the Hot Mess Mom- New Year’s Cards!